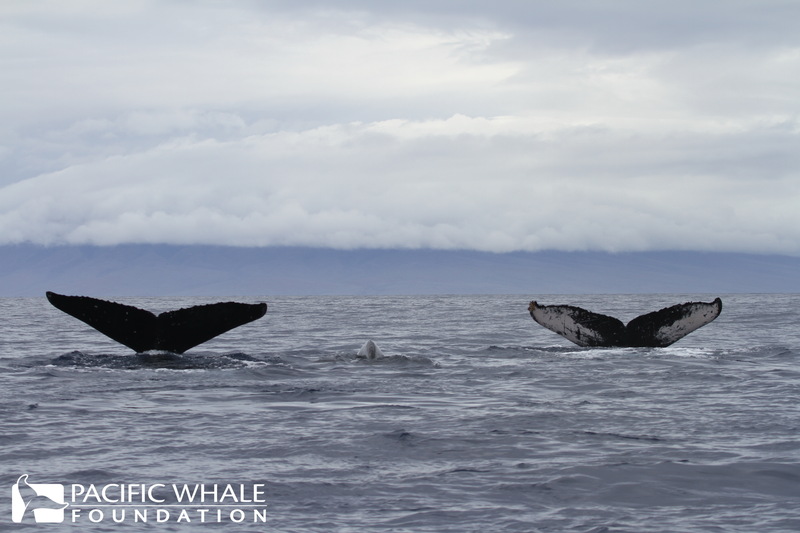 FACT OF THE WEEK: The underside of a whale’s tail, called the flukes, is not the only characteristic that can be used to photo-identify baleen whales. MORE ON THIS: You may already know that humpback whales have individually unique tail flukes, like a human fingerprint, and can be identified by photographing these. In addition, each humpback whale also has a unique dorsal fin that allows researchers to track and study individual whales using photo-identification techniques. But did you know that other species of baleen whales are identified using other body parts? Humpback whale flukes. Photographed under NOAA permit # 16479. Gray whales don’t actually have a dorsal fin; instead they have a series of “knuckles” along their back. Researchers can use the shape of these knuckles, as well as mottling, scarring, and barnacle patterns on the whale’s back to identify individuals. 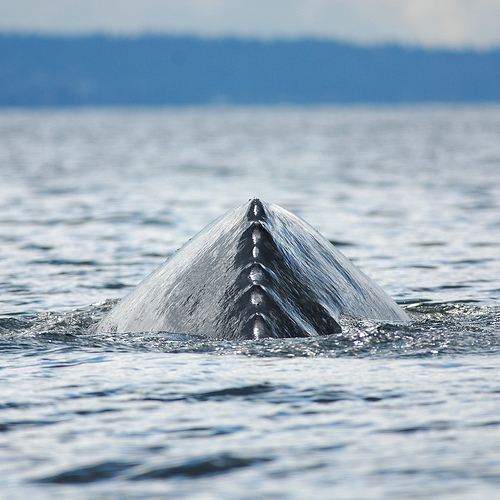 Grey Whale dorsal ridge – front view. Photo courtesy of Flickr user Minette Layne. 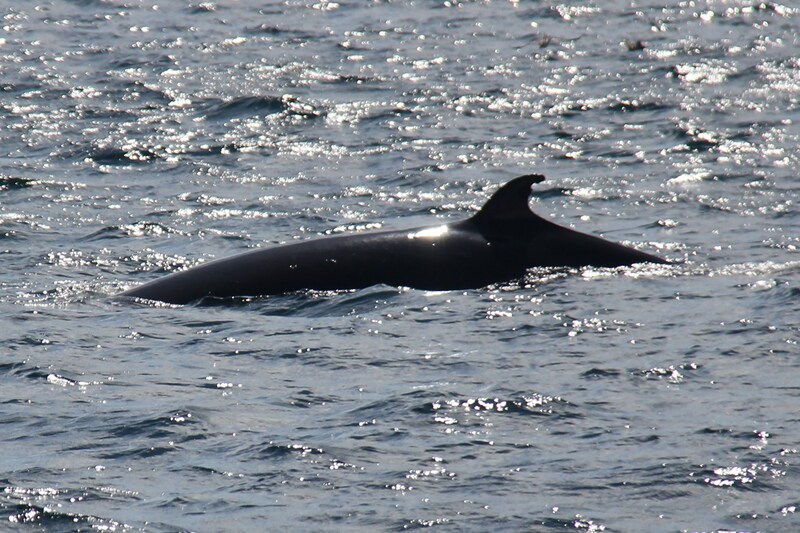 Minke whales are identified using nicks or notches in their dorsal fins, or by unusual dorsal fin shape, similar to photo-identification in dolphins. They can also be identified on the basis of lateral body pigmentation. Minke Whale dorsal fin with notch. Photo courtesy of Stephanie Stack.